Looking for a Great Dentist for Kids? For most children, going to the dentist isn't a pleasant experience. We've all been a witness to children crying or fidgeting on the way to the dentist's office, screaming or throwing tantrums, and dreading the next appointment on the calendar. Many of us have simply accepted this like a rite of passage-- no one likes going to the dentist, but it's a part of life or a "necessary evil." This doesn't have to be the case. At Three Fountains Dentistry, we understand your children's concerns. We're committed to making their visit a safe, pleasant, and relaxing experience, one that makes positive memories instead of negative ones. If this is your child's first visit to a dentist, our staff has a calming, friendly demeanor that makes sure that their first experience is a good one. If they've had bad experience with other dentists, they might be surprised by how much they enjoy visiting Three Fountains Dentistry in comparison. Making your child feel at ease is one of our top priorities. We know how stressful a visit to the dentist can be, both for you and your child, and we're dedicated to relieving that stress as much as possible. In addition to cleaning your child's teeth, we'll help teach them how to brush their teeth effectively, build healthy brushing habits, choose healthy foods, and keep their teeth clean and cavity-free. As a parent, we understand that your child's health is one of their top priorities. We'll give them to the tools they need to get started on good brushing habits that they'll keep for the rest of their life. 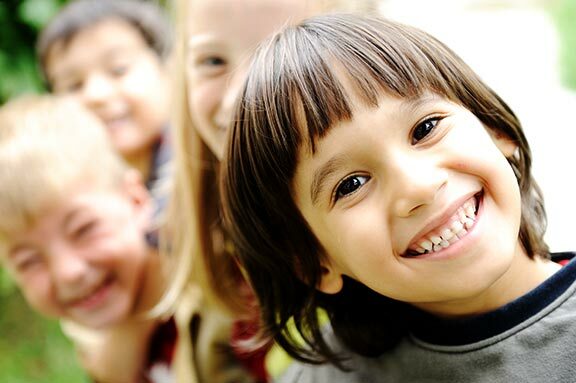 We'll also communicate with you to keep you up-to- date on your child's dental health. We'll never plan any major procedure without discussing it with you first. And if you have questions or comments about your child's dental care, our friendly staff is here to assist you. We'll provide up-front pricing, information, and options to help you make a decision and plan for the best care for your child. If you'd like to discuss our services or set an appointment, you can call us at (801) 685-9385 or visit our location. We'd be happy to assist you. Copyright © 2017-18 All Rights Reserved.